Some say that is the first phrase uttered by those in denial or left wanting for an answer. Two words shouted to the heavens asking for some divine or intelligent intervention into how their beloved team could have fallen this far from their past grace and the lofty expectations transposed on this team even before they began play in April. No one who follows, plays for or works with the Tampa Bay Rays could of possibly imagined this stark reality that would be evident about this team’s 2014 campaign 5 months later. No matter the Rays rise or fall during these terse 6 months, no one envisioned the team not playing for anything in the last 10-odd games of their season. So maybe it is time to possibly throw out some opinions, rely on some facts and maybe come to terms with a season that sent us on a pure emotional rollercoaster ride to the greatest heavens and at time tumbling right back down to Earth with the stark realization that sweat, talent and confidence are not the sole catalysts to winning games. Remember as you read this, it is only my personal guesswork and not a certification of the direction the team will take, should of taken or will entertain this winter….It is just my humble words thrown out for everyone to dissect into a million characters. Enjoy. 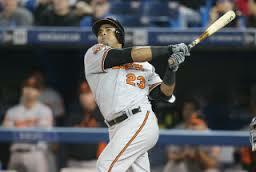 What if the Rays had signed free agent Nelson Cruz as their Designated Hitter? Would he have duplicated his 2014 season in Carolina Blue? This was actually a question someone asked me on Sunday and it does have merit, but I think besides the steroid residue that would have followed Cruz here to Tampa Bay, the $8 million the Orioles paid Cruz might have been a bit steep for the Rays to handle financially. Plus the Rays Clubhouse culture might not have been a good fit for Cruz, but we also will never know if he could of adjusted and been a key component of this year’s squad. Who knows, Cruz should be a free agent after the season, and with him showing he can still power the ball as well as be steroid free, the Rays would kick the tires, but even with Cruz’s current ‘14 resume of 39 HR and 106 RBI (as of 9/22) it might not be enough as a ‘15 salary seeking $ 9-10 million and someone wearing his favorite #23 jersey (Jake Odorizzi should quickly end the Rays interest. 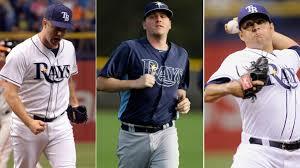 What if Jeremy Hellickson, Alex Cobb and Matt Moore had stayed injury free? Wow! Without a shadow of a doubt this team would have been different. Would it have been enough change to possibly change the end of the season outcome…..Without a doubt, but I’m a card carrying optimist. But that doesn’t mean I would be calling out another revival of rising to the Rays 2008 level, or anticipated the backward tumble of 2009. 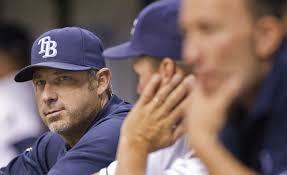 I hate to admit it, but a few good things did happen for the Rays rotation because of those setbacks. We found out the true fire and nature of Chris Archer, Cobb when he got healthy took the reins and never let go possibly posting one of the 6 best ERA (with possibly 2 starts to go) in the American League….And we saw the maturation process that beset Jake Ordorizzi from rookie nerves and indecision to transforming into a true 5th starter for this team. 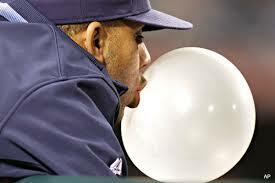 What if we had held onto David Price instead of trading him to Detroit? This is a question that will take a few more seasons before we know the true essence of this trade. I am also one of those anxious to see how young prospect Willy Adames advances in the Rays farm system. Also a post Trade Deadline Price has produced a 3-4 record and a 4.09 ERA (possibly 2 more starts) since the trade, the Southpaw sent as a left-handed option for the Rays rotation has been pretty Price-like. Drew Smyly posted a 3-1 record with a 1.70 ERA while also putting up 44 K’s on 47.2 innings. I think this trade worked in the Rays future favor as Smyly is a salary friendly option and Adames is already viewed by some as a future Rays SS and he is still at the Class-A level. 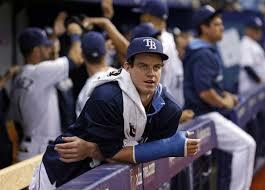 What if Wil Myers had not missed 81 games with his wrist injury? My ESPN Fantasy League stats predictions for Myers showed him posting numbers like: 81 runs, 25 HR, 91 RBI and a .267 average. At the beginning of 2014 he was owned by a majority of the teams in the leagues, but today only 35.3% of people have stuck with Myers. His offensive output was missed extremely by the Rays, but his absence also got us a great introduction to some future Rays “Outlaw” ways. 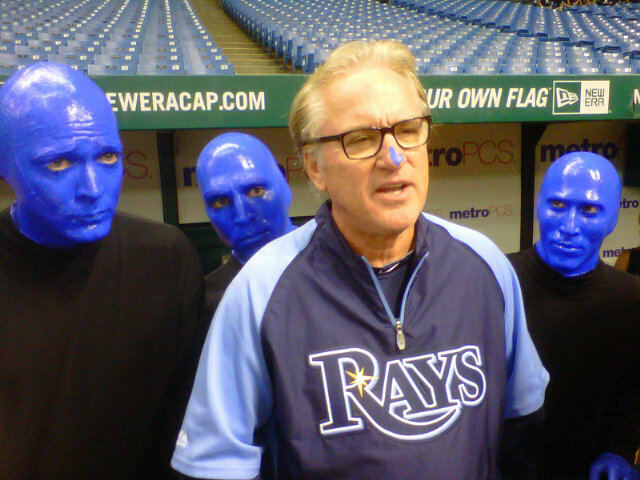 If you had to find any shining moment out of Myers pain it was the pure fact we got to see over 103+ games with Kevin Kiermaier on the squad. With them both playing together here in the latter days of the season, we might be witnessing transformation of the Rays outfield to a bit more speed and aggression in 2015. 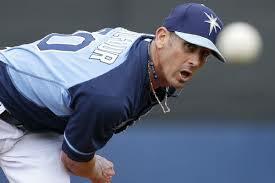 What if Grant Balfour had retained that same fire and not lost some of his edge? When Balfour signed that 2-year contract everyone was on his bandwagon. 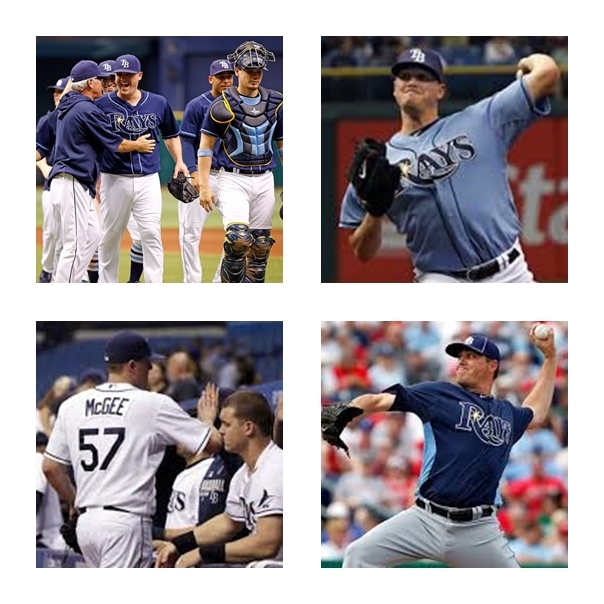 After a few stellar years showing his stuff on the West Coast with the A’s, the Rays envisioned Balfour taking the back end of the Bullpen and stabilizing it while Jake McGee slowly moved his way to that spot. Balfour’s falling from grace and possibly a bit of “dead arm” for a spell pushed McGee into the spotlight and for a guy doing the closer’s role for the first time, his game was more hit than miss. 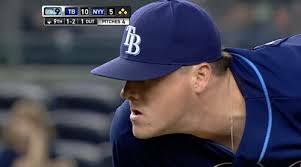 With Balfour taking a step back into a set-up role now I can see the Rays using him as bait to a team that might need a proven closer and potent rally killer. This is not to mean the Rays will accept small fish for Balfour, but he could easily be in another uniform if the right return can be found for him. 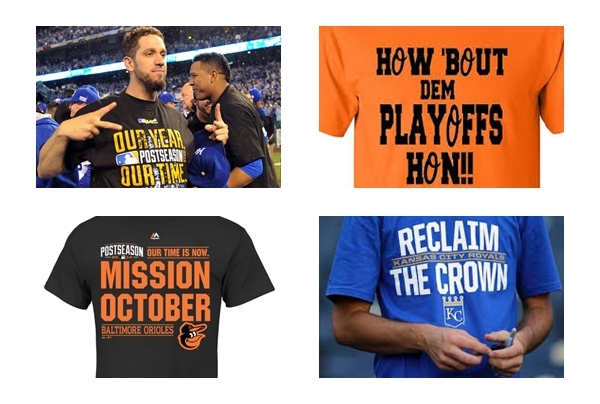 Okay, that is just a few of the “what If” trains of thought that were thrown my way during the last home stand. 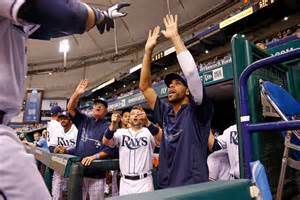 After these final 6 away games the Rays will conclude their season, return to the Trop and pack for home. At that moment the questions will immediately change from “What if” to “What can we expect” as we begin another off season with question galore and many 2015 answers to ponder. 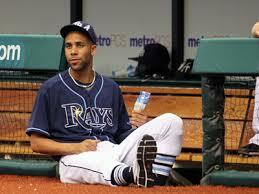 What direction can we expect the Rays to go?….T B D.
We all knew this moment was coming. 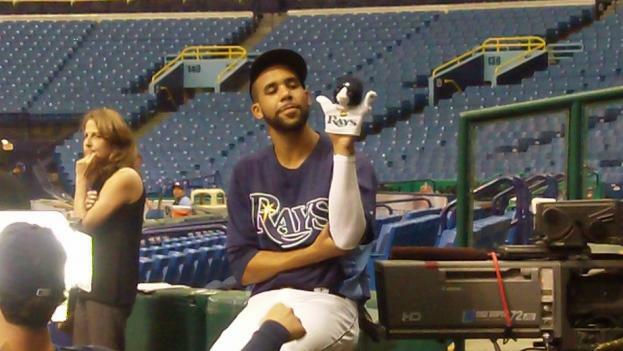 When the Tampa Bay Rays would begin a process of removing David Price themed items. 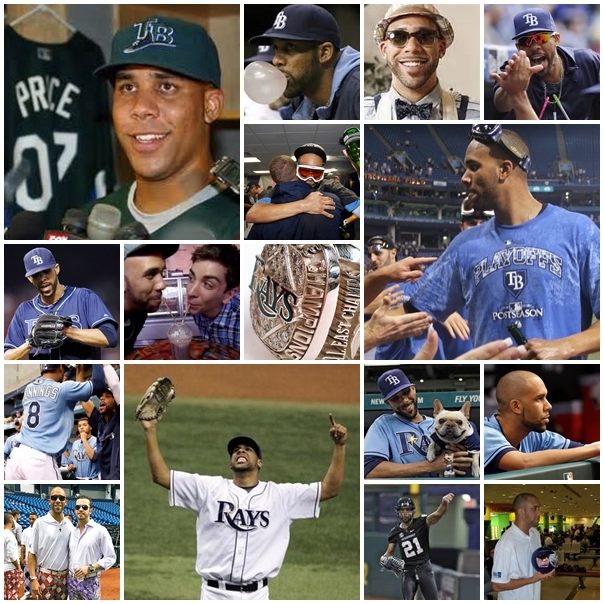 It is sad, but unfortunately a way of life that people come and go sometimes in our baseball lives and the Rays have begun auctioning off some Price memorabilia with a larger more tuned-in auction process beginning on August 11,2014 at 1:30 pm EST and running until August 18,2014 at 1:00 pm EST. Funny side note, as of the time I am producing this post, the Rays somehow decided to use the abbreviation EDT to designate Eastern Daylight Time instead of the traditional EST that symbolizes the more known Eastern Standard Time we older folks all learned in school. Both are correct, it is just odd to see it posted in that manner (I suspect it might be changed by Monday). 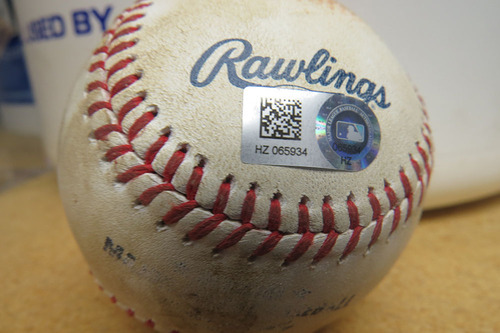 Wanted to remind everyone every item up for auction will feature a MLB authentication hologram sticker. Several premier items will be featured in the almost 7-day Price auction including a unworn one–of-a-kind David Price away retro 80’s jersey. This is the same mostly yellow-hued style uniform top the Rays will sport this weekend during the Chicago Cub series. This item is a must have for the Price collectors out there and will begin the bidding at $300. on August 11th. 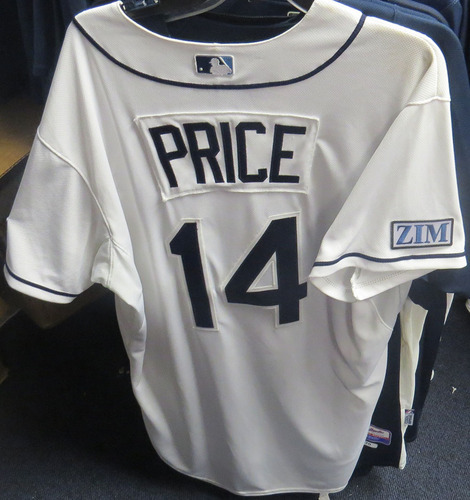 Another one-of-a-kind and historically unique auction offerings is the game-used home jersey from Price’s last start as a Ray that also features the “ZIM” patch on the right sleeve. Bidding for this one-of-a-kind prize will begin at $400. 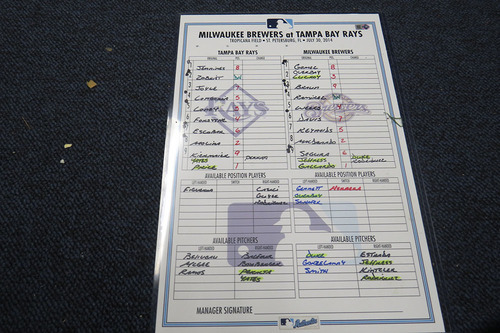 The team will also be offering such items as Price’s old Rays Clubhouse locker chair back. Bidding for this personal Price heirloom will begin at $40. 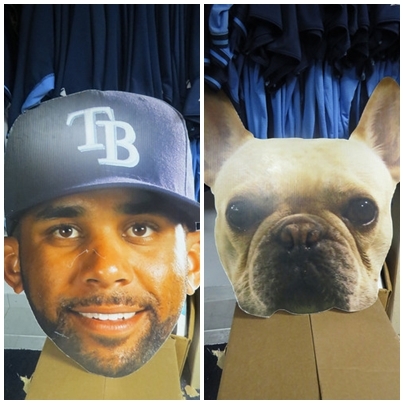 The Rays will also be auctioning off 1 each of the over-sized Price and Astro head cutouts that became iconic collection pieces that became the mainstays of the now defunct District K-9 outings that always corresponded with Price’s game day starts. I mean who in their right mind would not want an oversized Price face and Astro’s adorable mug both complete with an MLB authentication. Bidding will begin for the cutouts at $10 and each will have their own separate auction listing featuring these special close-out of Price themed memorabilia items. Also on the auction block of Price eradication items will be the awesome 27 foot by 2 foot “Welcome to Tropicana Field” featuring Price on the left corner and Evan Longoria on the right side of the huge banner. Bidding for this grand item will start at $20. I suspect someone with a sports bar or possibly an over-sized great/trophy room might jump all over this item. Price’s 6 foot by 8 foot Player Profile Banner will begin its bidding at $100. Or possibly you would enjoy having Price’s team-issued blue Rays batting helmet which will begin this items bidding frenzy at $150. 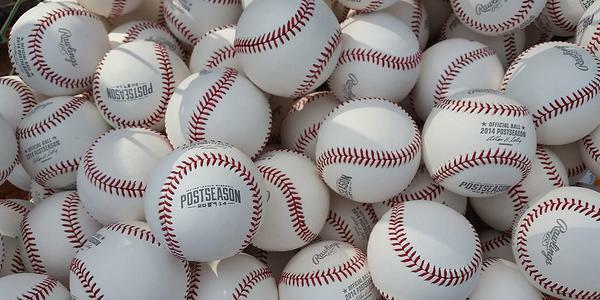 Also on the auction block will be Game-Used baseballs hit by the likes of Brewer Ryan Braun (reached on an error) or possibly baseballs hit against Price by Red Sox teammates Dustin Pedroia (single) or David Ortiz (single) during a home contest in 2014. Bidding for these baseball will be in separate auction listings and begin at $40. 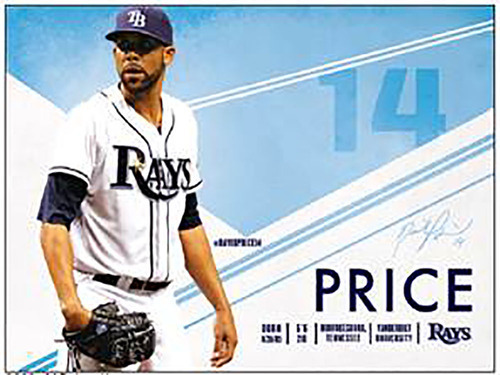 Possibly you are just one of those many statistic driven Rays souls who would love to possess the game day line-up card from Price’s last start as a Ray. The bidding for this special item will begin at $100. There are also current auctions going on the Rays auction site providing “BUY NOW” options. 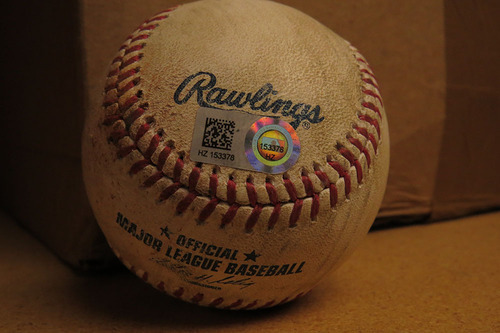 One of the items you can now buy today is a game used, MLB authenticated ball from Price’s 1,000 strikeout game for just $40. Also being offered are 2 different Price jersey swatch plague for $15 each. 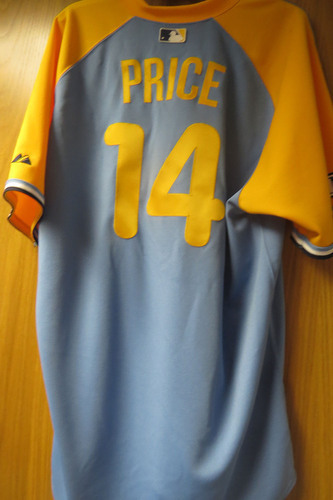 One is a Price game day jersey swatch framed plague (auction runs until bought or November 1, 2014) while the other commemorates Price’s 2012 Cy Young Award with a specially themed jersey swatch plague (auction runs until bought or Dec 31, 2014). 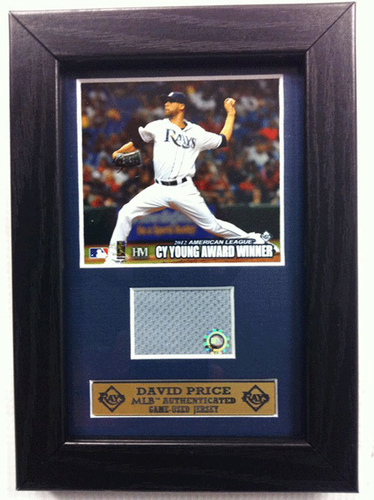 All items in this auction will benefit the Rays Baseball Foundation, the official charity of the Tampa Bay Rays. The organization focuses primarily on youth and educational programs within the Tampa Bay region that make a measurable difference in the community. 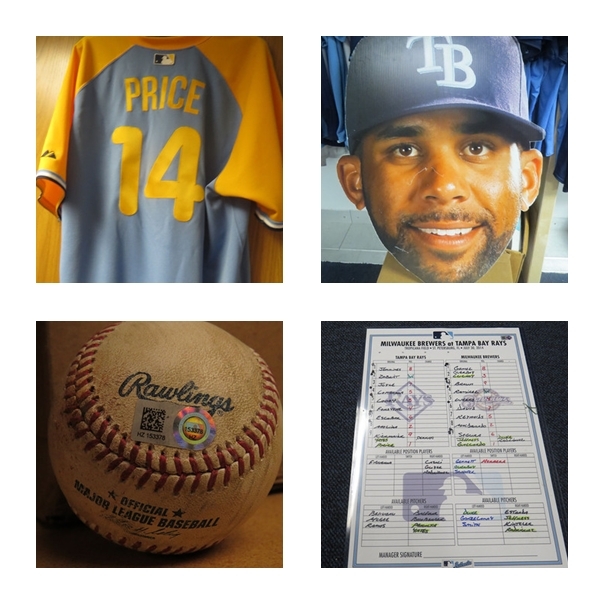 Please use this link to visit the Rays Auction site and bid on these great pieces of Price memorabilia today. I know it is sometimes hard to close the book on players as they move from one team to another. 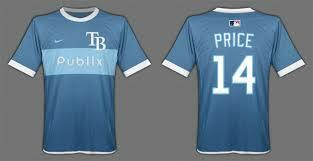 Price leaving the Rays did produce a bit of pain for fans of this franchise. But you have to let him go, and quite possibly win some of this great Price memorabilia that you can look at and remember him forever. I know I will be nodding on more than a few of these Price items. Thank You David…..Simply THANK YOU! 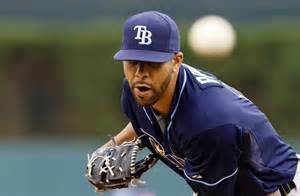 I have to admit, when I first heard some of the Spring comment from then Tampa Bay Rays prospect David Price’s mouth back in 2008 I wonder if he arrogant or just knew something we all somehow could not see at that moment in time. How wrong was my thought process on that day because Price did not only deliver on his statement way back in 2008, he has backed it up every contest since up until his eventual trade today not a half hour short of the Trade Deadline finish line. 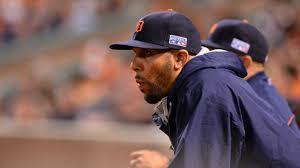 Going to be weird thinking of Price as a Detroit Tiger. He always seemed at ease in the Rays Carolina Blue unis, never seeming to delight in donning the darker Rays home or away jerseys, just bathing as much as possible in the team’s blues and whites. Price was even on the turf of the old Tilted Cap that is Tropicana Field today throwing on his off-day with fellow Rays hurler Jeremy Hellickson just 200 yards away from the Rays War Room that eventually cast a different end of his 2014 tale. But so not fret Rays Republic for Price will be back sooner than you think. Because the Rays and Tigers still have to play a mid-week, 3-game series under the Teflon dome from Tuesday, August 19 to Thursday, August 21. It could be the last chance for any of us in 2014 to see see Price on the AstroTurf, and I think we can almost guarantee Price will be out working the sidelines chatting with old and new friends. But there could be an additional huge cherry on the top of this series if the Tigers arrange their pitching matchups in a way that Price could take the hill during that 3-game stint and get a righteous standing ovation from the fans he has thrilled ever since his promotion to the “Show” back in September 2008. 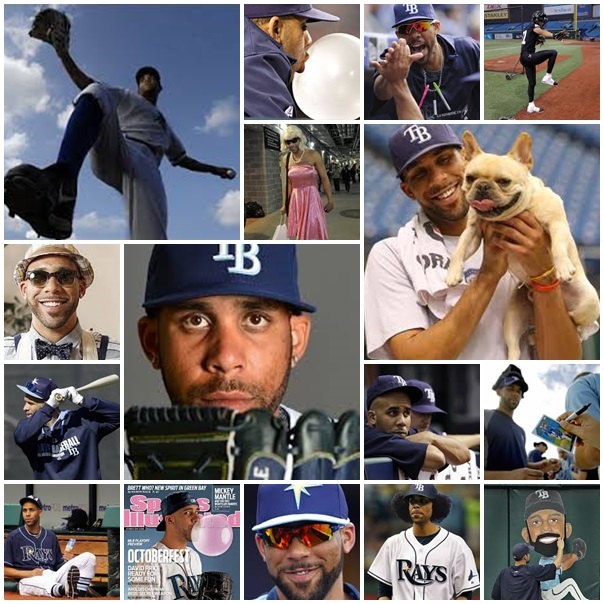 From Astro to Zorilla Price has truly been a class act showing leadership, relieved team stress through humor and has ( to myself personally) exceeded every expectation, every social engagement, and certainly been a prime example of the true essence that makes up the “Rays Way” of baseball. I was lucky enough to be in the stands at old Yankee Stadium back on September 14, 2008 when Price took the hill against the Yankees in his MLB debut. I was also lucky enough to see his hands go skyward after finishing off the Boston Red Sox in Game 7 of the American League Championship Series and sip some of that sweet nectar as he and the team paraded down the First Base line post game. 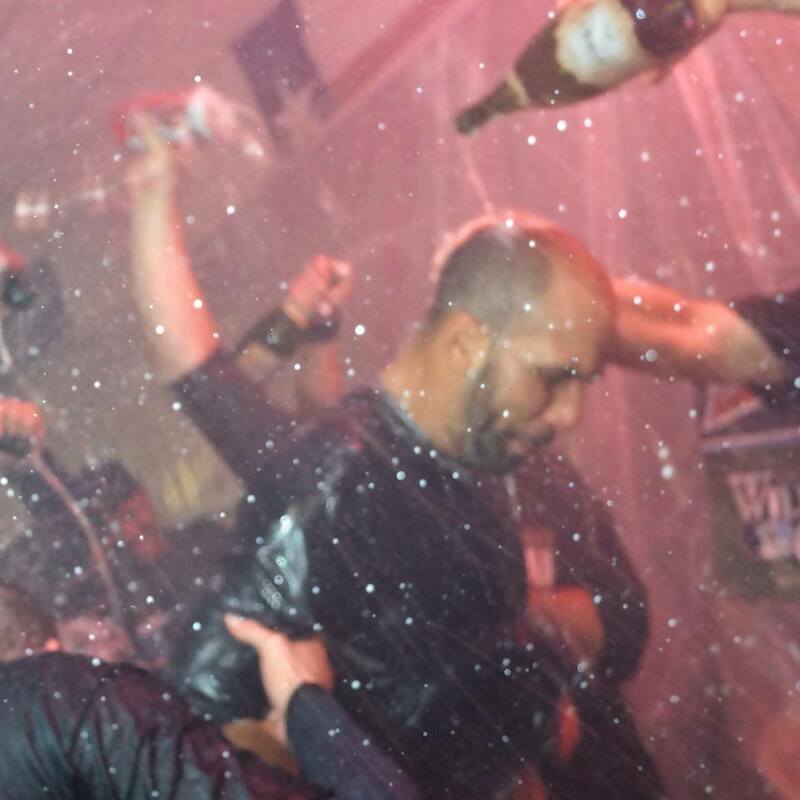 Was even lucky enough in 2011 as Price wearing that Carolina Blue tartan-themed post season shirt took a swig of bubbly supplied by one of my Bullpen friends. I was also lucky enough to get to know Price on many occasions on and off the turf at charity events, Season Ticket holder events and just chilling by the Bullpen seats after a bullpen session. Taken numerous images and videos of the daily defacing of his bobble head cartoon image on the Right field wall, and seen him become a well respected and admired figure among his adopted community. 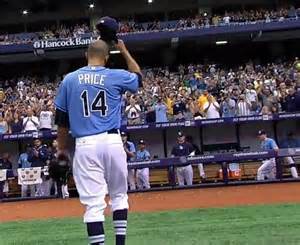 I know there is a lot of “I’s” here, but truly what Price brought to not only me, but the entire Rays Republic is knowing hard work, believing in yourself and your teammates brought historic memories to this franchise and their fan base. Was simply a pleasure knowing this guy who might have irked me for a moment, but rose to the occasion so many times I lost count. Even though he only pitched once every 5 days, he always took this team on his back doing whatever needed to be done. He was the Rays biggest cheerleader, their clubhouse voice of reason and a guy who grew into a leadership role for the pitching staff and accepted it with grace, confidence and a hint of calculated indifference. If there was an All-Star designation for value to his team, Price would have been a 7 time All-Star. I’m personally looking forward to that mid-August mid-week series with the Tigers. Because I want to find Price on the sidelines, catch his eye and shake his hand and truly thank him for not only the memories, but the role model and man he became while a Ray. Thank you David…..Truly THANK YOU. I want to vote for one of the American League All-Star Final Vote candidates, but I’m not. Some might say my reasoning is selfish as baseball is viewed as a team sport played by individuals and we should vote and select the finest talents in the land to represent our AL squad. But this season, I disagree with that train of thought. Call me a horse’s caboose if you want, but I’m boycotting this year’s selection because I can, as my vote matters (Or that is what every politician says). The main reason I’m not voting for any of the 5 qualified candidates is that I believe there should have been another Rays horse in the running for an A L All-Star slot. I firmly would have voted as many times as possible on my many email addresses (work and personal) for Tampa Bay Rays RP Jake McGee to be added to the A L squad. Most will bring me the argument that the A L already have enough talent on the left side of the rubber with the likes of A’s RP Sean Doolittle, Twins Glenn Perkins and 2008 All-Star game late inning reliever and game winner Scott Kazmir (who will represent the A’s) on their roster. Add the additional lefty names of Boston’s Jon Lester and the Jays Mark Buehrle , plus the Rays lone selection David Price, and the A L team currently has 6 left-handed selections and the Final Vote could bring another. I had a feeling Farrell was going to call the name of a southpaw from the Rays, but I did not think it would have been Price even though he has also put up some stellar stats considering his team’s hot and cold running offense at times this season. Maybe it was wishful thinking that Farrell might call on the soft-spoken McGee instead of Price, but I had hopes. But it seems the All-Star game anymore is about the “hero factor”, or the guy who has that role model persona loud and proud and not the guy who has honed his craft and finally has all the pieces gathered to complete his M L B puzzle. 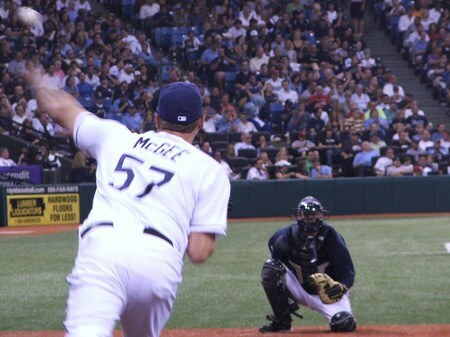 I truly thought this All-Star game would be McGee’s “coming out” party to show why the Rays have let him go from a great minor league starter to pulling the final strings at times in the Rays current closer-by-committee framework. But as they say, let’s let the numbers (as of 7/9/14) speak for themselves. 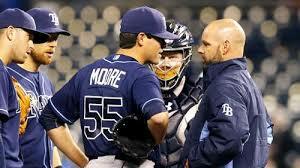 *** McGee sports a 3-0 record with 6 saves this season, including a nail-biting, 4-out save last night. 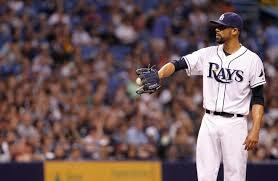 *** Sports a 1.58 ERA in 42 appearances this season and surrendered a 14 straight scoreless appearance streak in last nights (7/8) Rays win over the Kansas City Royals. ***He allowed a run for only the 2nd time in his last 31 appearances, plus 39 of his 43 trips to the hill in 2014 have been scoreless appearances. *** His fastball velocity, which averages 96.5 mph is the highest among leftie AL relievers. *** His total appearances (42) ranks 2nd in the A L, and his stingy Opponents Slugging Percentage of .214 has him ranked 3rd in the AL. 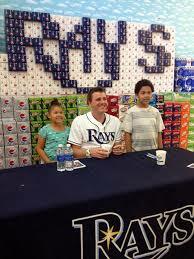 *** He has pitched 49 consecutive homerless inning, the 3rd longest streak in the entire M L B. His last HR was on Sept 4, 2013 to LA Angel C Chris Iannetta. 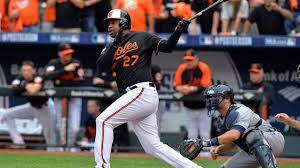 ***20 of his total 25 hits this season have been singles, and the other 5 have been doubles. ***McGee has stranded 24 of his 27 inherited base runners (88.9 %) this season and if his current formula runs true, should eclipse the Rays record of 88.6% set by former Rays Southpaw J P Howell in 2008. 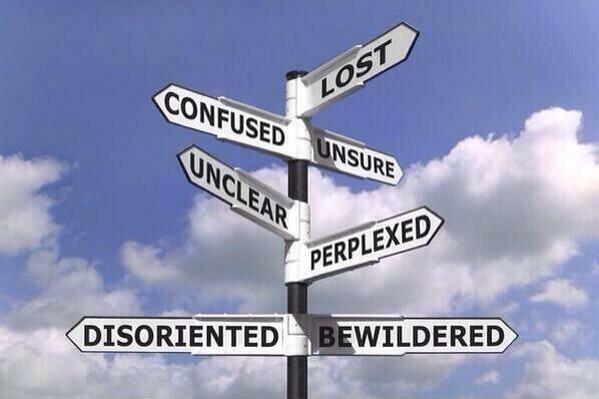 So the numbers show McGee has the talents and the numbers to be considered a 2014 All-Star. Some have said that since Price makes his last start before the break this Saturday that 3-days rest might not make him a viable pitching option for All-Star game. 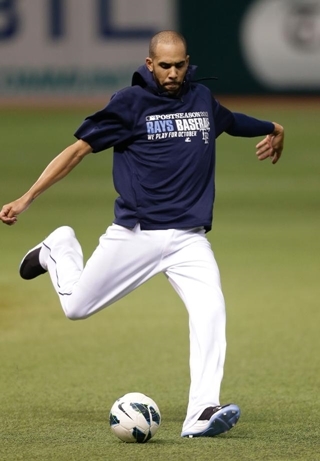 The move also could be viewed as a team-first move as not pitching in the All-Star game would put Price in line to pitch in the Rays first post All-Star game contest against the Twins on Friday, July 18th. So you can snide me all you want that I’m not voting for another player not sporting a Rays uniform in the All-Star game final vote. The players selected by M L B are deserving and merit consideration, but I got to stick with my gut on this and keep the home fires burning that McGee gets a call from Farrell before Tuesday’s All-Star game. Sometimes you got to stick to your hometown convictions even if it doesn’t always jive with the majority. This type of cluster-frack occasionally happens during this trade whisper time of the season when someone want to get that elusive scoop and be the primary media source as we go screaming towards the July 31st M L B non-waiver Trade Deadline. It caught me totally off-guard in reference to an early Sunday rumor that the Cincinnati Reds were in some sort of discussions with the Tampa Bay Rays about possibly acquiring Rays hurler David Price. A supposedly eagle-eyed individual saw something they felt dictated a informed and accurate Tweet/status update about a certain Reds slugger’s clean locker and they seemed to take a gambler’s chance that his hunch was a “solid fact”. 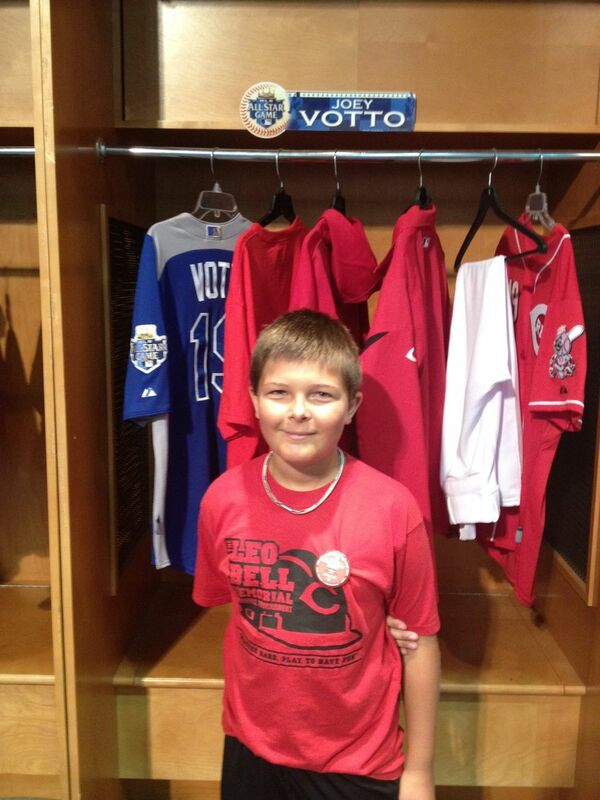 I quickly had 3 facts come into my own mind that struck down this trade rumor concerning Price and Votto. But around the M L B the rumor gained speedy legs and sprinted around the web not unlike Reds speedster Billy Hamilton around the G A B P diamond. “Strike 1”: Votto is not entirely recovered from his early season quad situation. It might not be a daily occurrence or mild bother to him, but because of it any trade partner would want a 100% healthy player evaluation from their team medical staff before signing off on a player of Votto’s stature becoming their concern. “Strike 2”: Votto has a ironclad no-trade clause in his contract and even if he was to change team colors, you might expect he would entertain a possible contract extension or fiscal reward from his new team to waive his no-trade, even if he was going to a contender for a possible 2014 World Series title. “Strike 3”: This style of trade is not within the Rays usual wheelhouse of trade notions and baring the fact the team in January signed their current 1B James Loney to a 3-yr, $21 million contract, it lacks feasible plausibility unless Loney also was a trade piece heading to Cincy along with Price. What should have been an honest visual to all is someone forgot the pure fact that Reds First Baseman Joey Votto is a minimalist and keeps a neat and tidy “work space”, especially during days when his Reds Manager Dusty Baker gives the Cincy mainstay the “day off”. I know for a fact playing sports up into my mid-20’s, a fair amount of athletes do not have the “neat and tidy” gene within their game day clubhouse rituals. In the end both “clean facts” were just a pair of trash trade rumors. How fast do you think they hit “delete” on their social media sites, then pulled down their Reds cap a little closer to their brow today. Moral of this story: “Accuracy, accuracy, accuracy is your best friend when wanting to print anything, especially the truth”. That and possibly thinking twice before hitting the “send” button. Editorial Note: I could of posted all the Twitter posts that brought about this debacle, but decided they were already possibly being punished enough by other bloggers smelling their blood in the water. I have never let someone else take the helm of my blog before, even on a one-time basis, but there is but one Haley Smilow. So maybe it is time for me to do some “paying it forward” and provide a forum for a budding M L B beat reporter/ interview guru. I know Haley doesn’t need a lot of help as her accolades and accomplishments already at a young age simply blow my mind. I always try and encourage writers both young and mature to find their own groove and take their time writing what they enjoy, or what might inform or entertain people. To paraphrase a old saying, “If you enjoy what you do, it will never be work”. I have a feeling Haley will never have to work a day in her life, only enjoy what she does with passion and joy. Do you have a favorite ballpark other than Tropicana and why? And is there a ballpark where you feel you always play well in? DP: I like Target Field. We usually stay close to the stadium, so we can walk there. They have great food and I like the self-serve ice cream machine. I feel like I play well at Fenway. It is a good park for lefty pitching especially when facing a heavily stacked right handed team. Do you have any nicknames that teammates call you? DP: The Latin guys call me “Precio” Spanish for Price, and Homeright. Do you have any superstitions or rituals? DP: I would say more like routines. 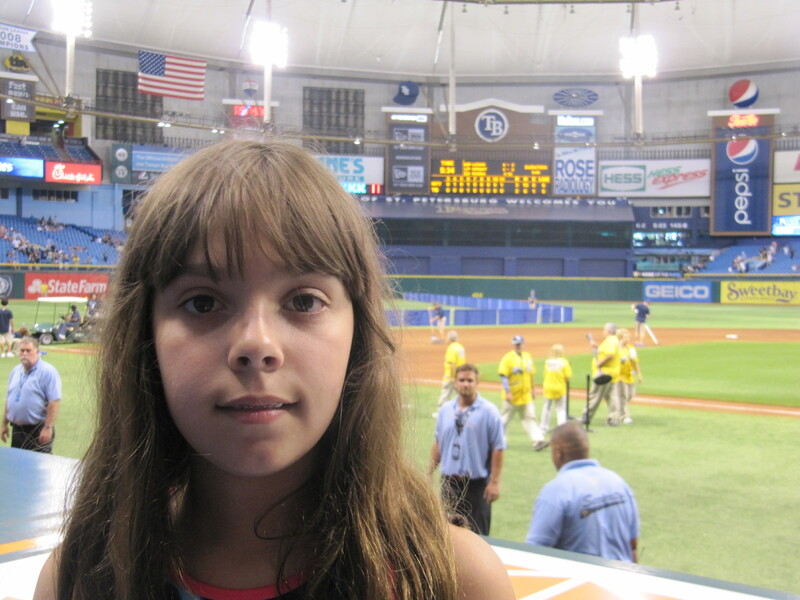 I always wear the same green Tampa Bay shirt and cap to the stadium. When we are on the road, I take guys out to eat and pay for lunch and cabs. I feel like its good karma and that will come back to me. Better Inning? 3 Pitches – 3 Outs or 9 Pitches – 3 Strike Outs? DP: Good question!! I used to be really focused on getting the strike outs, but now I think 3 pitches/3 outs. First pitch outs are the way to keep the pitch count down and to go deep in games. Is there a batter you really don’t like to face? DP: Yes, Danny Valencia. Lifetime he is 9 for 12 against me. No matter what team he’s been on, he always hits me hard. 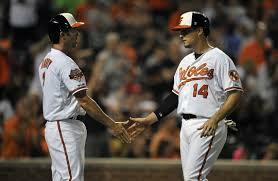 The last time we played the Orioles he went 2 for 3 with an RBI double, a single and a walk against me. 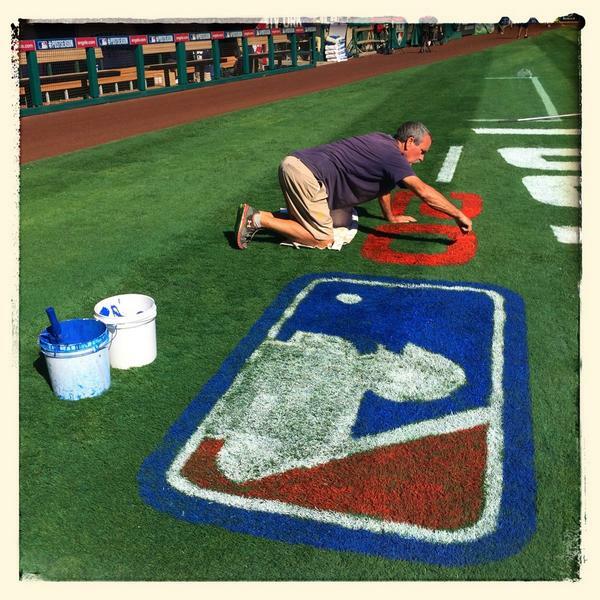 How did you prepare yourself for games and facing hitters? DP: I prepare by trying to execute my pitches. I like to stick to my style of pitching and my strengths instead of trying to pitch to batter’s weaknesses. First Round draft pick in 2007, starting pitcher for the 2010 All – Star game, winning the 2012 Cy Young and of course the cover of MLB 2K 13 what are some of your other accomplishments you are proud of? 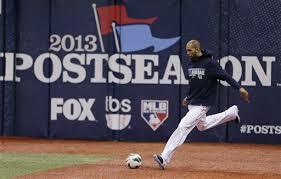 DP: I would have to say winning left handed pitcher of the year award in 2010 and Player’s Choice in 2012. Player’s Choice in my opinion is more important than Cy Young because it is voted on by your peers. It means a lot that my teammates and opponents think that highly of me and my pitching. Where does your love of baseball come from? DP: My parents. We always watched baseball together as a family. I would come home from school, play baseball, eat dinner and then watch a game on TV. It has been a part of my life always. If you could go back in time who would you want to play baseball with? DP: Would have to say Jackie Robinson and Roberto Clemente. I would also love to play with Dwight Gooden he was an incredible pitcher. I think it would be fun to compete against them. If I could change one thing about baseball it would be? DP: After a batter has two strikes, a foul should be strike three. It would keep the game moving faster. If you weren’t playing baseball what could you see yourself doing? DP: I would be a teacher and coach. I love kids. DP: “Sandlot”. I have seen it so many times that if I just hear one line, I know its Sandlot. 5 songs on your I pod that are on repeat? DP: Oh man, I just got asked that question the other day and it took me like 20 minutes to come up with three!! I would have to say Young Jeezy “Hustler’s Ambition” and “Go Hard”, Lindsey Stirling and Coldplay. DP: Spaghetti, it’s hard to mess up. I don’t make my own sauce I just get the Prego. Have you ever been Pranked? DP: Yes, Sean Rodriguez pranked James Shields and me on M L B Fan Cave. Sean Rodriguez planned it and we had to do a couple “fake” promos. For one segment I was supposed to scream in a high pitched voice and jump in Sean’s arms like a girl because of a shark. They got me to do it like five times before they told me. That was a good one. One-thing fans don’t know about you? DP: I do not run my dog Astro’s twitter account. What do you do for fun other then baseball? DP: Normal everyday things. I play with my dog, hang out with my girlfriend Tiffany, and video games. I like to do many things that kids like to do. I don’t like to take extreme chances like skydiving or bungee jumping, just like to be as normal as possible. What wouldn’t you leave your home without? DP: My cell phone. It’s how I keep in touch with friends and family. I also run my twitter account through it. 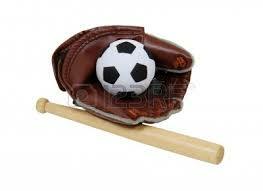 Do you have any other favorite sports besides Baseball? DP: I love basketball and golf. I would like to play professional golf because you get to go to beautiful locals and the weather is always nice. Not like pitching in 45 degrees in the rain. 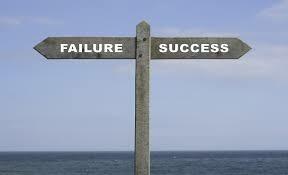 What are some of your biggest challenges and how did you over come them? DP: Just staying focused and staying positive when you are struggling in a game. I try to execute my pitches and keep my mentality positive. DP: Have fun it’s a game. Renegade: That was an awesome and insightful interview Haley! 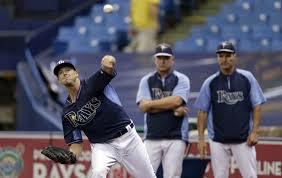 I know we all learned a bit more about the Rays premier southpaw. I want to thank Junior Baseball Magazine and Haley Smilow for this fantastic contribution. If you wish you read more of Haley’s posts please click on this link and it will redirect you to her MLBlogs.com . If you want to be one of the army of Twitter followers, feel free to click here and it will take you to her Twitter feed. I truly look forward to Haley’s future M L B adventures and her budding M L B beat reporter or columnist gig in the future. Thank you again Haley!